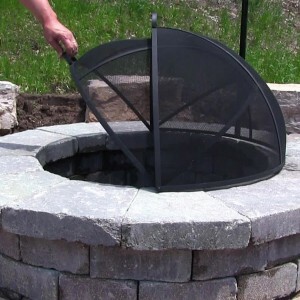 A fire pit screen (also known as a fire pit spark guard) has two purposes: to keep the sparks and embers from your fire pit fire within the confines of the screen and to provide safety protection to people and surfaces around the fire pit. 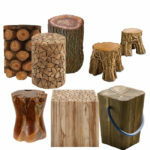 They are used with campfires and fire bowls in addition to fire pits. 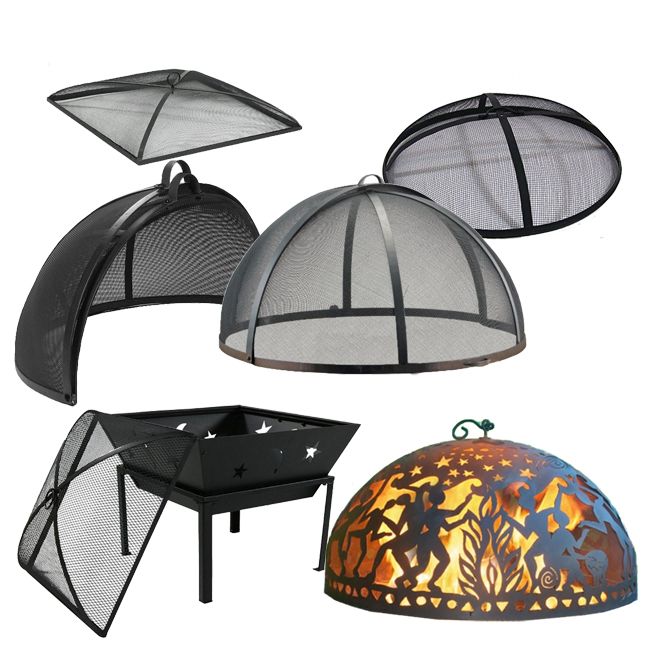 Fire pit screens come in four basic designs: high domed hemispheres that hinge open for access, traditional low domed round, square and art fire domes. 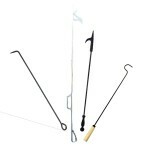 Less expensive ones are made of 0.5 mm metal while more heavy duty ones are constructed with 0.7 mm metal. 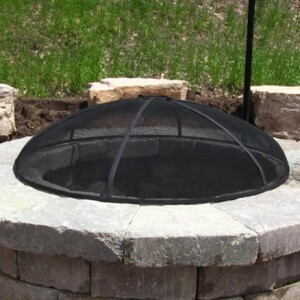 The high domed fire pit screens with a hinged opening have two advantages: Easy access to the fire and more room for firewood. We recommend this style for ease of use. 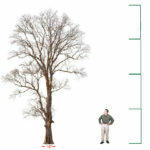 Measure your fire pit’s diameter before purchasing a screen. 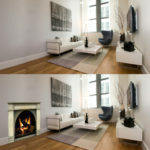 Don’t rely on your memory or the manufacturer’s specifications. 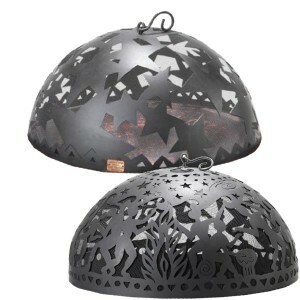 Even when a manufacturer says a fire bowl or fire pit is 36 inches in diameter, for example, they may be referring to the width including handles, or it may be have been manufactured using a metric scale and rounded off to inches. 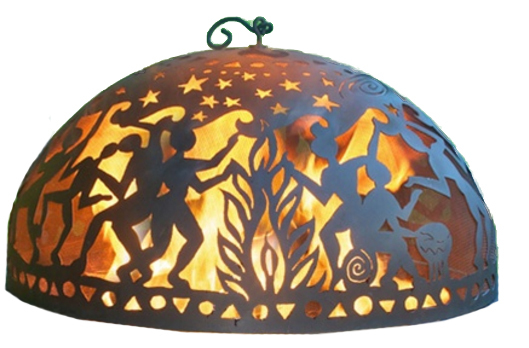 The Art Fire Dome Screens are a distinctive visual upgrade from other fire pit screens. 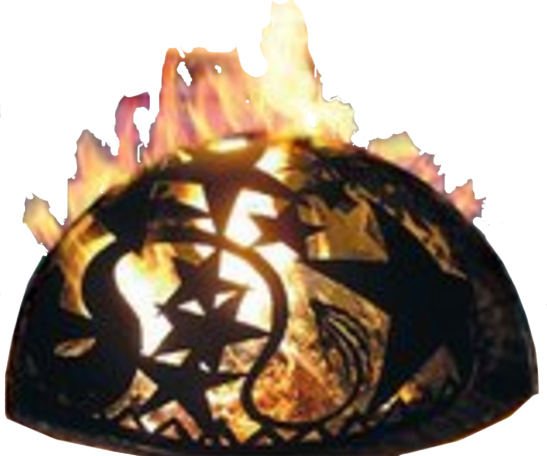 They turn your fire into fire art! 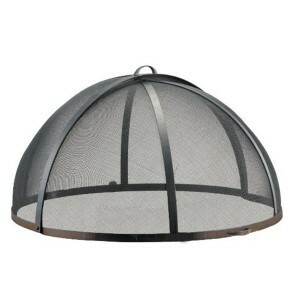 Behind the decorative steel dome, screen mesh is built into theses unique fire pit screens for safety. 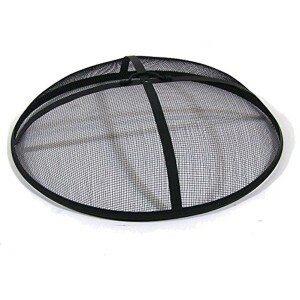 Most fire pit screens have a black, baked-on paint coating. 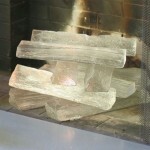 Few of them are manufactured with a final coat of heat-resistant paint. Over time, as they are exposed to chips and weather, they will rust. So to extend the life of your fire pit screen, before you expose it to the heat of fire or the abuse of the elements, we highly recommend you spray paint it with a black paint that is specifically designed 1) to withstand high temperatures and 2) to prevent rust. 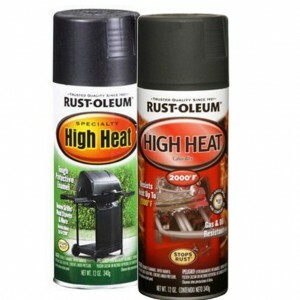 Rust-Oleum is one maker of such a heat tolerant, rust preventative paint. 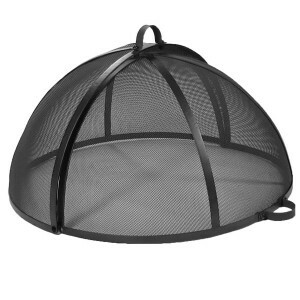 Use a light hand; you do not want to block the open spaces in the mesh screening. 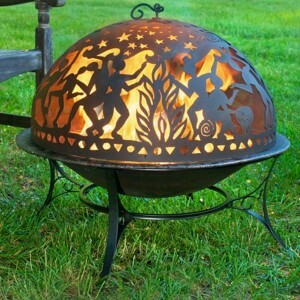 Before its first use, apply a high heat, rust resistant spray paint to a fire pit screen. 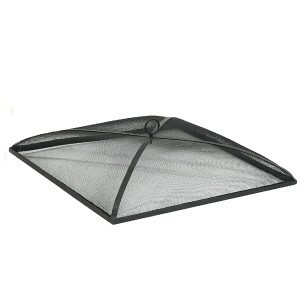 Use the spark guard fire pit screen. 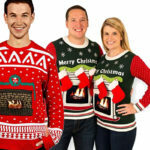 Don’t set it aside figuring you don’t really need it. 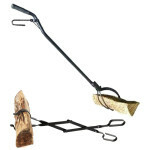 Use a fire pit hooked poker, heat proof gloves, or long handled log grabbers to move or open a fire pit screen with the handles on the top or sides of the screen. 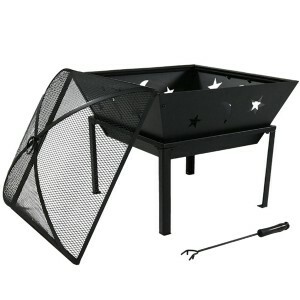 When you access the fire by removing the fire pit screen, have an adult stand guard over the hot fire pit screen. 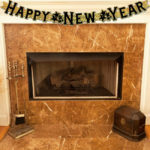 Children and inattentive adults, particularly after dark, too often stumble into a hot fire pit screen laying on the ground or patio. Since you don’t have to worry about issue this with a screen with an access opening, that’s one of the reasons we recommend them. 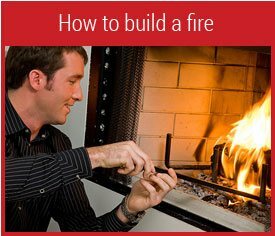 When you want to add firewood to your fire, do not place the fire pit screen on the ground between yourself and your firewood pile. 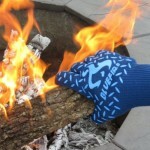 With an armload of logs blocking your view, you can inadvertently walk right into a hot screen on the ground when you approach the fire pit.